About the locomotives in this book: The book looks at the classes of standard steam locomotives produced by BR in the 1950s, of which there were 12. In total between 1951 and 1960, 999 B.R. Standard locomotives were produced. All were in service for a relatively short space of time (excluding post B.R service in preservation). The standard locomotives needed to be low-maintenance: simple and robust (staff shortages on the railways post-war dictated this). Emphasis was placed on easy accessibility to parts on the locomotive facilitating straightforward replacement. The easy accessibility meant the locomotives had unusually high-set running plates and a mass of external equipment and devices. Labour-saving devices were employed to the maximum where possible. Three or more cylinders were ruled out as this made designs too complicated for them to fit into the standard concept. Methods of steam production that had proved to be costly and temperamental were dropped and a standardized left-hand cab layout was adopted where the driver could control the locomotive whilst remaining seated. Economic operation of the locomotive was to be paramount, so a free-steaming boiler was necessary and additionally (and logically) the smooth application of power. Friction in moving parts therefore had to be minimal to avoid resultant loss of power and this was achieved by free running via roller bearings and generous plain bearing surfaces. Ten classes of standard locomotive were envisaged at first and the panel that managed the process was presided over by Robert A. Riddles, previously senior engineer on the L.M.S and known for his creation of the Austerities (wartime locomotive class). The design team was dominated by the L.M.S and this was because this group was the largest of the four groups that came together in the nationalised railway organisation. As a result, the locomotives born from this project were tinged with L.M.S character. Robert Riddles retired in 1954 before the last of the class for which he was ultimately responsible was introduced. Detailed design work for the new standard classes was given to the four major locomotive centres that B.R inherited: Swindon, Derby, Doncaster and Brighton. Each centre was responsible for one or more aspects of each locomotive; and additionally on each class, one centre was given ownership over preparing and collating the principal construction drawings. The first B.R Standard locomotive was unveiled at the Festival of Britain in 1951. About the book: The drawings in the book are designed to enable the serious modeller to be able to scale BR standard locomotives down to 4mm, but at the same time the drawings are not encumbered with a mass of lines and figures, so at the same time the railway enthusiast who is not a scale modeller or a technical drawings fan will be pleased to own this book, which is full of detailed drawings of their favourite locomotive(s). Strict accuracy and attention to detail have been maintained. About the Book: This 1981 Bradford Barton hardback book includes fifteen 4mm to 1ft scale drawings of GWR steam locomotives. The GWR volume is one of a series of five such books on steam locomotives of the pre-Nationalisation groups and British Railways. This particular volume covers the GWR from 1902 onwards marking the principal watershed in GW locomotive design - a change from Victorian to modern engine methods and construction. The change was one that influenced British railway locomotive development for the rest of the steam era. The GWR holds a special place in steam enthusiasts' hearts and minds with its locomotives, fixtures and fittings being the most modelled by railway modellers. This is probably due to its unbroken 113 year existence, during which distinctive working methods and techniques developed and staff and servants of the company took intense pride in the railway company. The book gives the major dimensions of each class of locomotive below in terms of number of cylinders, overall length, overall width, engine wheelbase, boiler pitch, leading wheels (diameter), coupled wheels (diameter), trailing wheels (diameter) and tender wheels (diameter). For each class of locomotive, it gives some textual history and points of interest (for example, were any converted to oil burning or renumbered? ); also a black & white photograph of a member of the class for reference and then the all-important scale drawing. Daniel Gooch - hired by Isambard Kingdom Brunel. Gooch planned the famous workshops at Swindon in 1840 and resigned the lay the world's first transatlantic telegraph cable in 1864. Subsequently, he did once again join the GWR, becoming its Chairman until his death in 1889. George Jackson Churchward - one of the four giants of 20th Century British locomotive engineering: innovative and inventive. He adopted the best of American and French ideas into his own designs; and altered valve timings and free-flow steam passage to and from cylinders. He introduced his celebrated 2- and 4-cylinder 4-6-0s in 1902 and 1906 respectively; the incredible thing about these designs is that they were decades ahead of contemporary British designs and provided the basis for future locomotives. Churchward also introduced tapered boilers, which came to dominate later practices; and was an early adopter of the practice of using superheaters to boost power output whilst simultaneously reducing coal and water consumption. Churchward also standardised parts across the range of his locomotives making repairs and repair costs more easily managed. Charles B. Collett, succeeded Churchward in 1921, as Chief Mechanical Engineer, as the new job title was called. Collett expanded his predecessor's design philosophies rather than sweeping them aside. He created the renowned 'Castle' and 'King' classes that owed their origins to Churchward's 4-6-0s, and which were influential in their own right. Frederick W. Hawksworth (formerly Chief Draughtsman) took over as C. M. E. in 1941 from Collett and reigned until nationalisation on January 1st, 1948, continuing in office for a short time after this event had occurred over the Western Region of British Railways. Hawksworth consolidated several Collett classes and brought to life an 0-6-0 tank engine in 1949 that was not like former G.W. classes. 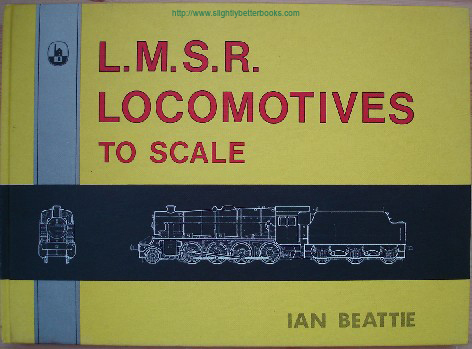 About the Book: This volume presents 4mm to 1 foot scale line drawings, photographs and brief biographical details of selected L. M. S. locomotives as an aid to the railway modeller of all ages and degrees of expertise. In addition it serves as an enthusiast's guide to the diversity of the L.M.S. motive power scene in its various phases over the 25 year existence of the Group. The book gives major dimensions for each of the classes of locomotive for overall length, overall width, engine wheelbase, boiler pitch, leading wheels (diameter), coupled wheels (diameter), trailing wheels (diameter) and tender wheels (diameter). It also gives useful information on the livery and insignia of the locomotives: how they were painted, colours, nameplates, number plates, and so on. About the Book: This volume presents fifteen 4mm to 1 foot scale line drawings, photographs and brief biographical details of selected L.N.E.R. locomotives as an aid to the railway modeller of all ages and degrees of expertise. In addition it serves as an enthusiast's guide to the individualistic and idiosyncratic nature of the locomotives that the LNER built and which distinguished it during its 25 year of existence from its inception in 1923 to its dissolution in 1948. The volume is not an exhaustive work on the subject of LNER locomotive power, but rather an effort to give the railway modeller and enthusiast of LNER locos the chance to reconstruct a model (whether working or stationary) of the engine or engines of their choice. This is achieved by means of scale drawings with a complementary photograph and summary notes, which give information of history, workings, efficiency and appearance - for example useful information on the livery and insignia of the locomotives: how they were painted, colours, nameplates, number plates, and so on. Major dimensions are given for each of the classes of locomotive at the start of the book - for overall length, overall width, engine wheelbase, boiler pitch, leading wheels (diameter), coupled wheels (diameter), trailing wheels (diameter) and tender wheels (diameter). The LNER was the second largest of the four pre-Nationalisation groups and the principal reason for it designing and producing distinctive multiple series of engines was down to one fact in the shape of a man: Herbert Nigel Gresley. He powered the LNER through 18 years of its 25 year existence. The influence of Gresley on British steam locomotives went far beyond the LNER - he had a farsightedness and genius that puts him firmly in the list of the four giants of British steam alongside G. J. Churchward, W. A. Stanier, and O. V. S. Bulleid. This latter steam giant was for many years Gresley's assistant on the LNER until he was transferred onto the Southern Region in 1938 and his well-known for his own individualistic designs. So where did Gresley's locomotives stretch their legs? Well, the LNER was an amalgamation of six formerly autonomous railway companies covering the East, North-East, Midlands, and a large part of Scotland. Their former names being: The North Eastern, Great Northern, Great Central, Great Eastern, Great North of Scotland and North British Railways. Gresley came from the Great Northern, where he had been locomotive superintendent since 1911; not surprisingly the Great Northern was a system notable for its use of high-speed passenger trains. When he took over the reigns of the LNER, he inherited problems that other railway companies were also suffering - the divided loyalties of the staff, who were still emotionally attached to their former companies and their colleagues from those companies. Gresley was able to overcome this through diplomacy, sheer persistence and a willingness to allow latitude to the diverse factions within the business; and this approach really took the sting and force out of any predisposition towards militancy among his staff. However, he was also aided by circumstances - principally that many of the pre-Grouping (of the LNER) locomotives were quite young and so Gresley was spared the need to replace such powerful symbols of the old companies, so avoiding sparking resentment and feelings of powerlessness among his workers. In fact very few of these legacy locomotives were withdrawn during his reign and some were even duplicated. Nigel Gresley died in 1941 to be followed by a very different character: Edward Thompson, who had worked in senior positions under Gresley for almost 20 years. Theirs had not always been a happy match - they had come into conflict with each other severally and variously, with Thompson unwilling to entertain his superior's development methods. After Gresley had gone, Thompson set about putting his own stamp over his predecessor's 3-cylinder locomotives, converting some to 2-cylinder with little to show in terms of improvement when the results came in. To be fair to Thompson, Gresley's 3-cylinder conjugated valve gear had performance issues when not maintained properly in the difficult circumstances of World War 2. Thompson was to see much better success with his new mixed-traffic tender engines and suburban tanks. Thompson retired in 1946 and Arthur H. Peppercorn took over, the designer and engineer behind the now world-famous Peppercorn Class A1 Pacific steam locomotives (see the A1 Steam Trust). Peppercorn restored the broader vision of motive power engineering that Gresley espoused when he was in charge and also restored the highly-skilled technologists who had worked so successfully under Gresley, but who had suffered demotion and loss of influence under Thompson. Peppercorn also gave Thompson's unattractive 4-6-2 design a more aesthetically pleasing look. Despite the LNER's inheritance of a heavy freight business, it did not put any concerted efforts into developing locomotives to handle this traffic and this is believed to be because there was a large number of suitable locomotives, all of whom could efficiently handle the movements. In terms of passenger locos, the variety of types designed and built was wide and adventurous, probably due to the sheer variety of lines and services that the engines had to work - from branch lines in Scotland to London commuter traffic. Contents: This book, like its four companions (above) sets out to review the locomotive classes built by the Southern Region during its 25 year existence from 1923 to 1948. The railway enthusiast and expert should note that focusing on locomotives built does not necessarily represent the same classes as those conceived in that quarter century period. 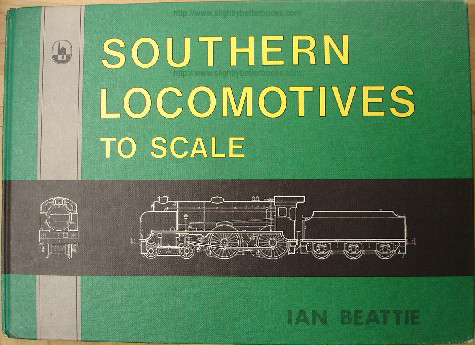 A must for the railway modeller, enthusiast or steam fanatic, this book is packed full of scale line drawings of Southern Railway Locomotives at 4mm to 1 foot scale and includes complementary photographs, biographical summaries and major dimensions. It is directed at rail enthusiasts of all ages and degrees of knowledge. It is however, arguable biased towards those who have a model railway or are in the throes of building one because this book will give them the dimensional and feature details, etc., which will save them considerable time in researching their favourite Southern Region engine or engines. 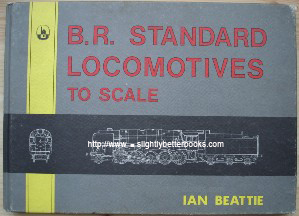 This book does not examine every inch of a locomotive in microscopic detail, so modellers wishing to reconstruct a specific locomotive in a specific period of time with correct liveries, fittings and insignia, etc., should seek information from specialised publications. The Southern Region was the smallest of the four groups created in 1923 from the Railways Act of 1921 and it was largely a passenger operation with only a small freight operation. The coastal resorts, commuter traffic and flows of people to and from the ports ensured that passenger revenues were the dominant income for this grouping. The progressive replacement of steam by electric traction meant that the Southern Region ended up with the largest electrified suburban network in the world. London Brighton & South Coast Railways or L.B.S.C.R. The Southern Region continued to mark or honour the areas covered by these former companies in that it was administered in three different areas according to where its constituent companies operated: Western, Central and Eastern. The S.R. suffered from internal dissension after its birth (as did the LMS and LNER groupings) - the loyalties and staff working methods from the three companies did not mold into one smoothly. Sir Herbert Walker changed all that with his appointment in 1924 from a similar position with the LSWR and under his management, the Southern Region took on its own identity and its staff started moulding the disparate parts into a unified, streamlined and efficient company. Soon after the act of grouping, the electrification of suburban services started in earnest, but not without a cost - it caused huge disruption and generated a lot of hostile publicity; in response, the SR created a public relations division, which was actually the first time this had happened in a major railway. It was headed by a newspaperman, John Elliott, who turned out to be gifted at this kind of role engineering highly successful countrywide publicity campaigns that kept the Southern Region in the public consciousness regardless of its problems. Someone was needed to run the Southern Grouping and the natural choice fell to Richard E.L. Maunsell, aged 54 who was the C.M.E (Chief Mechanical Engineer) of the S.E.C.R. The other two CMEs were approaching retirement which worked against them; they were: Lawson Billinton of the L.B.S.C.R and Robert Urie of the L.S.W.R. Maunsell, from Dublin, was well thought of despite having an unpredictable temperament; his achievements were already considerable and numerous. He had trained on the Great Southern and Western Railway of Ireland where he rose to become the locomotive superintendent. He gained the CME position of the S.E.C.R in 1913 at their headquarters in Ashford, Kent. Interestingly, up to the point of grouping, the L.C.D.R and S.E.R had both kept their independence in terms of their shareholders and committees despite a centralised committee; but crucially, the provision of motive power and rolling stock had both been the responsibility of Maunsell. Bulleid 'West Country' 'Battle of Britain', No. 34109 "Sir Trafford Leigh Mallory"